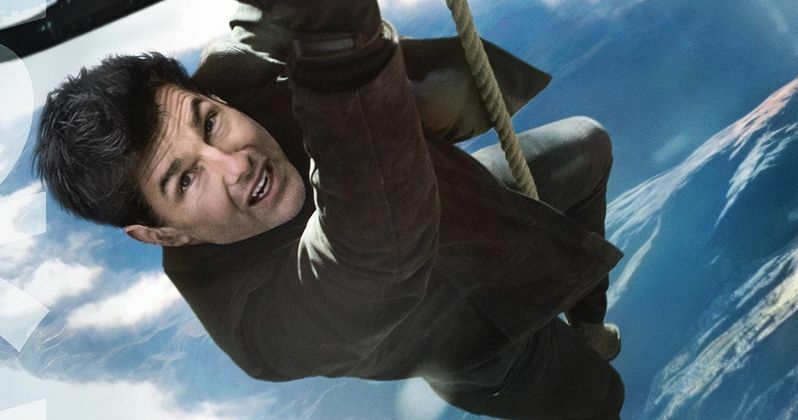 Mission: Impossible - Fallout is set to blow away the competition at the box office this weekend. Denzel Washington managed to show that he's still got what it takes to draw a crowd with Equalizer 2 narrowly beating out Mama Mia! Here We Go Again last weekend, bringing in a total of $36 million. However, middling reviews will probably prevent Washington's first sequel from staying in the top three this weekend as moviegoers are going to have a wide array of options to explore. Tom Cruise is going to bounce back in a big way after The Mummy absolutely tanked stateside last year. Mission: Impossible - Fallout, the sixth entry in the long-running action franchise, is riding a whole lot of positive buzz into this weekend. With the help of Henry Cavill and his mustache, the Christopher McQuarrie-directed flick should bring in a little over $60 million. It's likely to best the opening of the previous entry, 2015's Mission: Impossible - Rogue Nation, which also debuted in the last weekend of July and brought in $55.5 million, ultimately earning $682.7 million worldwide. McQuarrie becomes the first and only director to helm two movies in the franchise with M: I 6. The other newcomer this weekend is Teen Titans Go! to the Movies, which is based on the animated series that airs on Cartoon Network. The animated DC flick should bring in somewhere near $20 million this weekend. The movie is also going to benefit highly from extremely positive critical reception. As of this writing, Teen Titans Go! to the Movies has an unblemished 100 percent approval rating on Rotten Tomatoes. That could help push the movie above early box office tracking numbers. With several other action movies in theaters this week, including the new Mission: Impossible, it's likely Equalizer 2 will slide down a few spots to fourth place with a take somewhere in the neighborhood of $15 to $16 million. Mama Mia! Here We Go Again only lost out last weekend by just over $1 million and, since that movie will have less direct competition this weekend, it's likely to take the number three spot behind Teen Titans Go! to the Movies with around $18 million. Rounding out the top five this weekend will be Hotel Transylvania 3: Summer Vacation, adding another $14 million or so to its growing total and Ant-Man and the Wasp, which should be taking in roughly another $10 million. The critical hit Blindspotting will also see an expansion this week, which is something to look out for as well. Be sure to check out our full list of predictions for the top ten at the box office this weekend and check back on Sunday for our list of estimates. These numbers come to us courtesy of Box Office Mojo.